I broke _two_ of these in one day bending 10x1.5 mm zinc-plated steel pipe. It did handle 8x1.0mm pipe well. 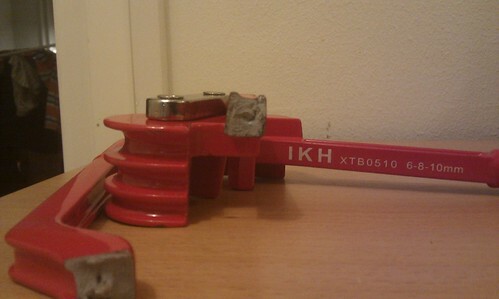 This piece of failure is imported/branded by IKH and sold by Motonet for € 10,90.